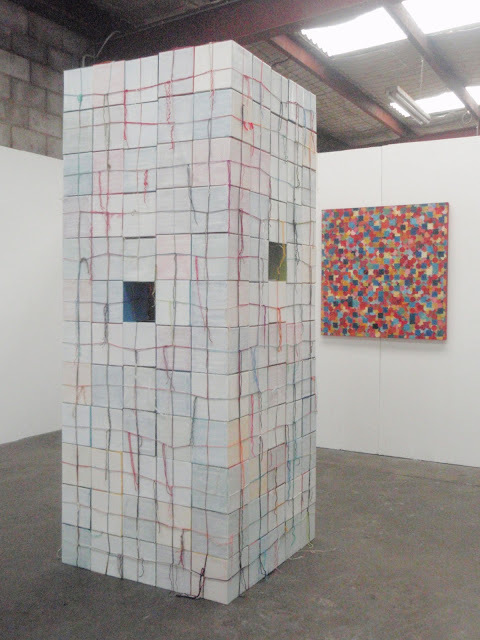 'Simple Enough' was a solo exhibition at Factory 49 of paintings, and 2 dimensional and 3 dimensional cardboard constructions. 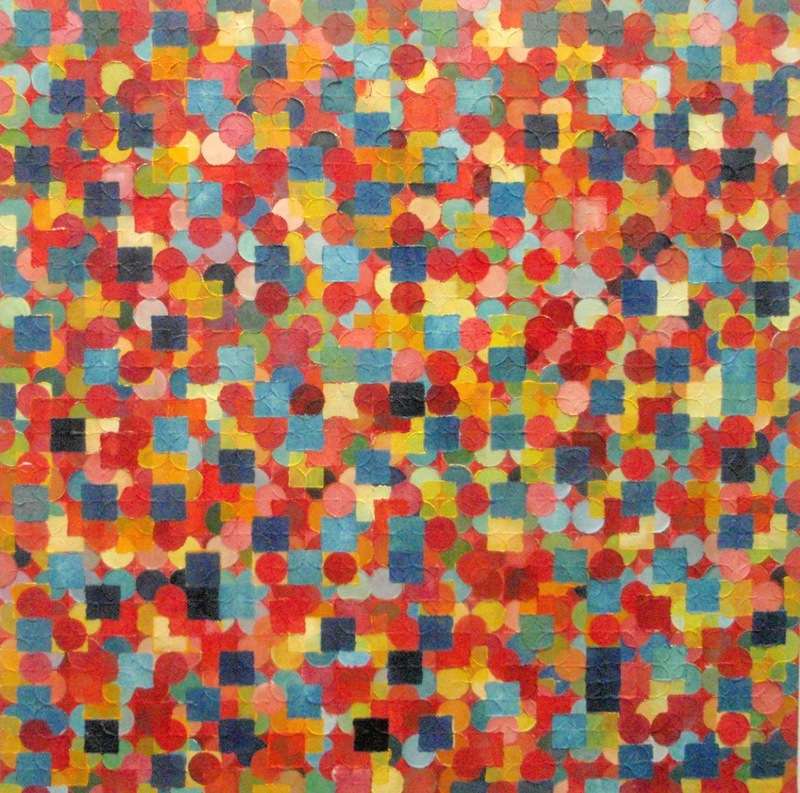 CLICK HERE for a copy of the catalogue and CLICK HERE for a video of the show. 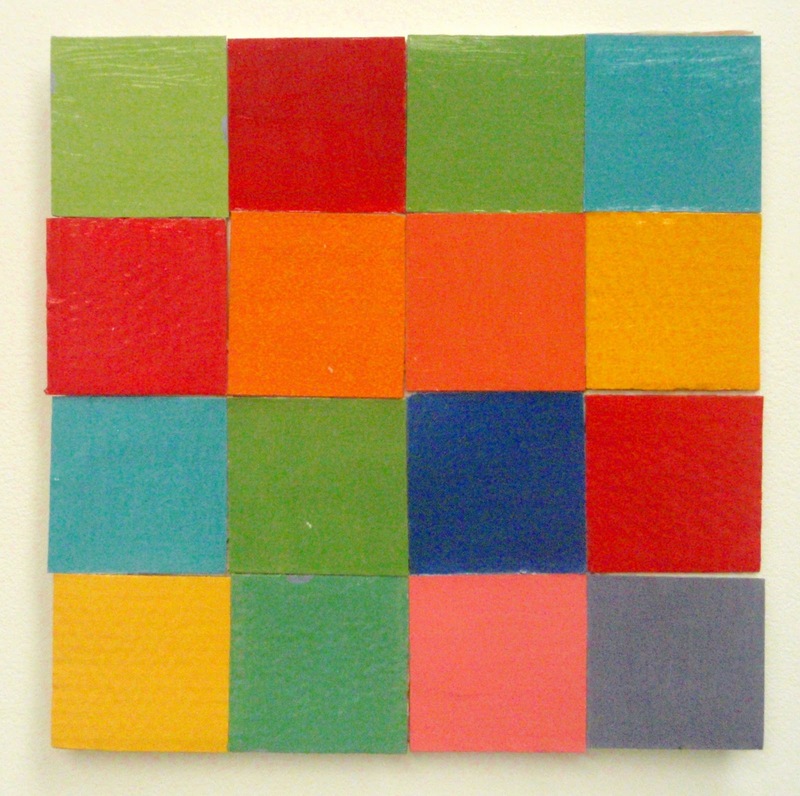 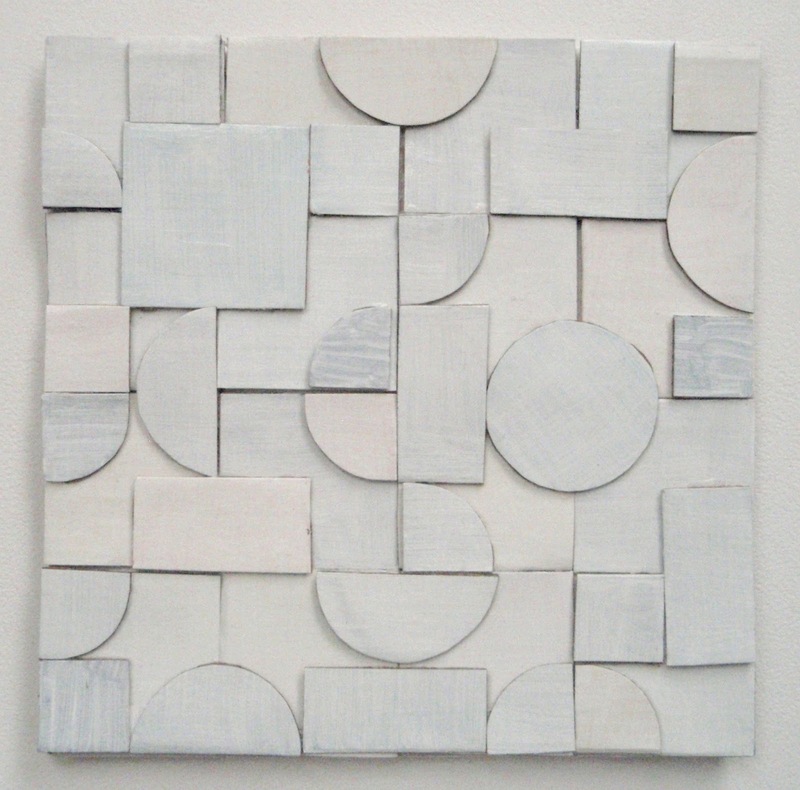 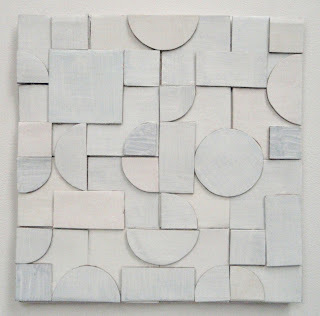 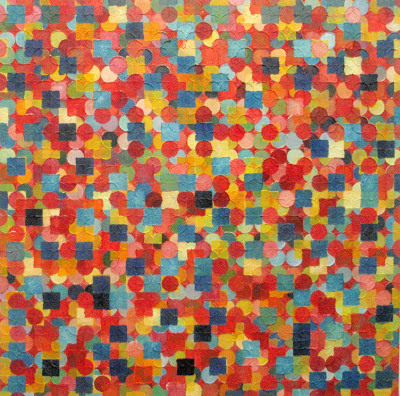 The exhibition was a continuation of my previous works using circles and squares, but with the introduction of white. 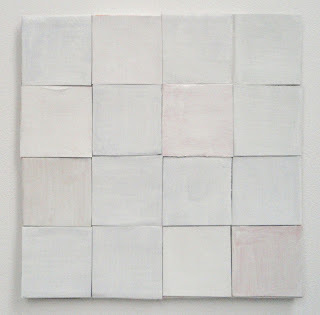 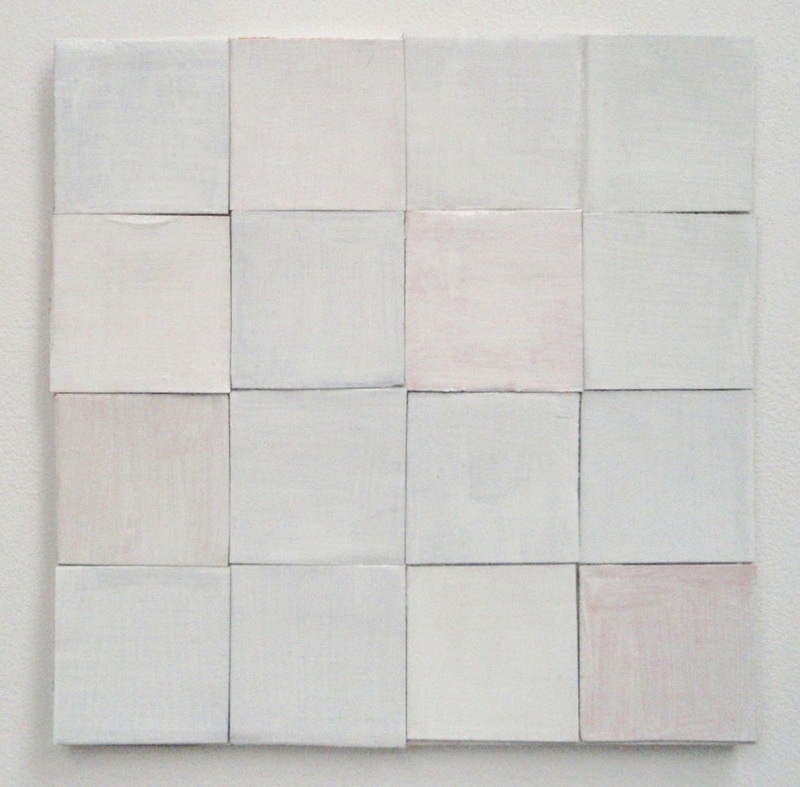 It contained a painting from my previous show, 'One & the Same: Red'; as well as a new painting, 'One & the Same: White'. 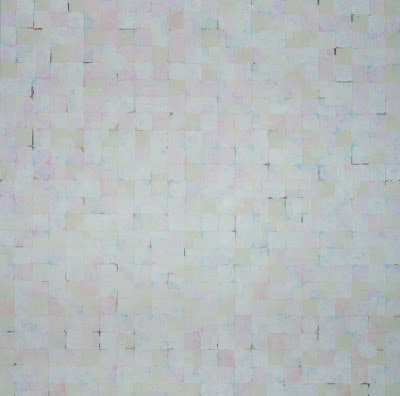 The sculptural 'tower' was constructed from cardboard cubes tied together with coloured wool with the outside surfaces of the cubes painted white, but so that traces of colour were still visible underneath. It had a single cube missing from each side so that the colourful interior could be viewed. 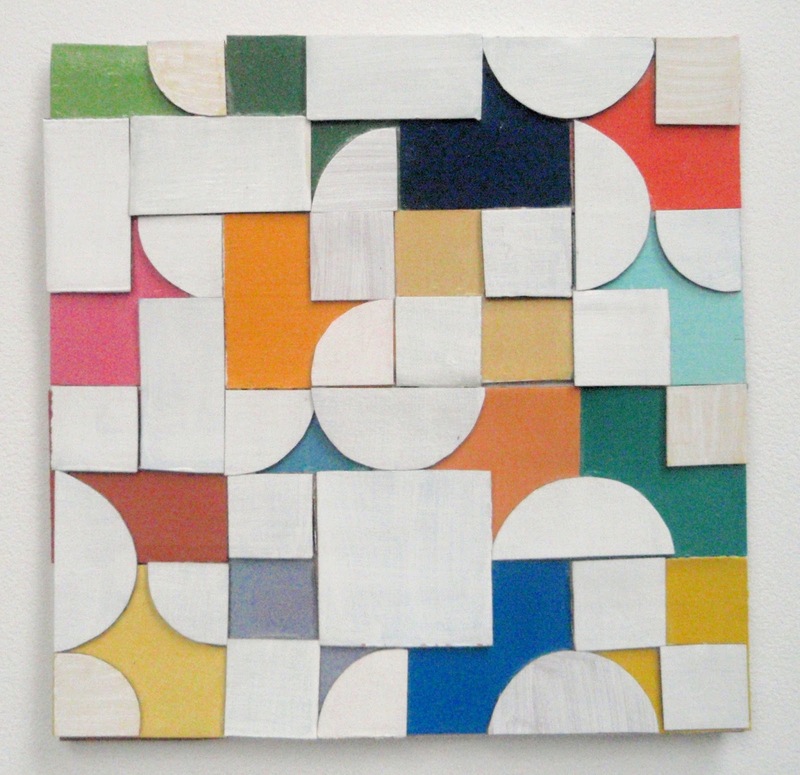 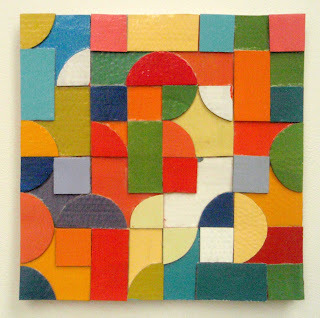 The cardboard wall works continued the square and circle patterning of the paintings.